"It was an amazing experience because it's such a magnificent area to work in. 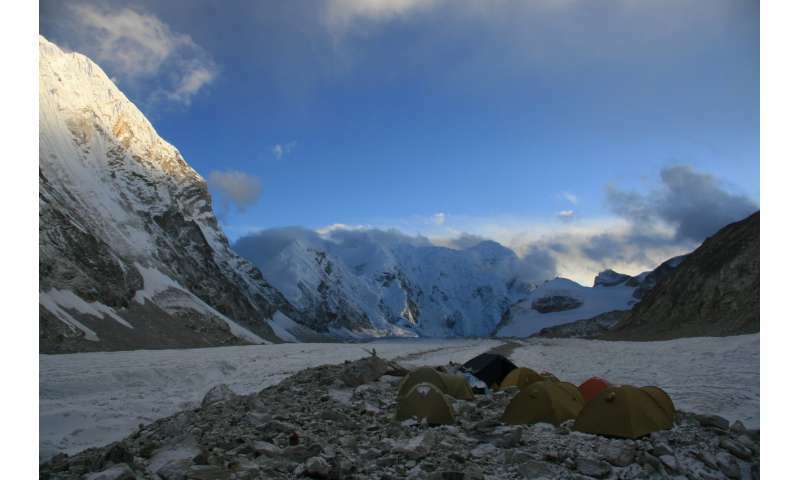 Basically I have lunch looking at Everest," said Podolskiy, a glaciologist working at the Arctic Research Center in Hokkaido University, Japan. But the researchers felt the real shock in their tents after dark. "We hear this loud boom," Podolskiy said. "We noticed that our glacier is bursting, or exploding with cracks at night." Podolskiy couldn't see what was happening, but during the three weeks he and his colleagues were kept up shivering in their tents listening to the noise, Podolskiy began to suspect there was some difference between the day and night, possibly due to temperature changes, that was causing the booms. It wasn't until Podolskiy was back in the office and he looked at the seismographic data the researchers gathered in the field that he discovered what was happening. 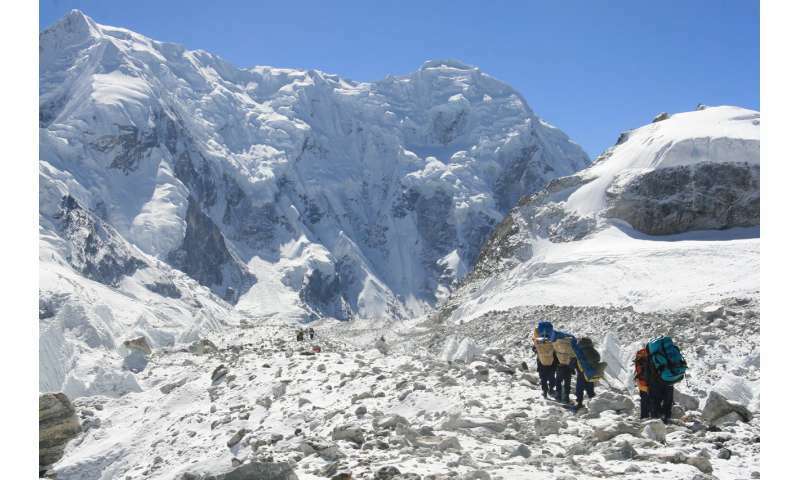 The researchers found abrupt nightly temperature drops due to the glacier's high altitude caused the explosive cracks. Podolskiy says while the temperature could drop to around -15 degrees Celsius (5 degrees Fahrenheit) at night, the researchers would often be working in t-shirts by day. "Local ice turns out to be very sensitive to this high rate of change," said Podolskiy, who is the lead author of a new study in Geophysical Research Letters, a journal of the American Geophysical Union. The seismic noise of glaciers can also be used to monitor the near-surface structure and the damage state of ice. Learning more about how these processes work is critical as they could also play a large role in glacial mass loss, which can contribute to sea level changes, according to the study's authors. "It was a big adventure for myself and for the landscape," he said.